At 6:00 p.m. Tuesday evening, Apple CEO Tim Cook is set to take to the stage in a San Jose theatre to introduce Apple’s latest blockbuster product – a mini tablet set to fend off competition from Amazon’s Kindle Fire and a raft of relatively cheap smaller tablet computers. The shrunken iPad is rumored to have a screen that is 7.8 inches across the diagonal – which compares to 9.7 on the original version. Tech watchers suggest the device – like the latest incarnation of the iPhone – will work on the superfast 4G mobile network. Apple is said to be planning to charge $350 for the smaller version, which is around half the price of the cheapest iPad 3. However, it will remain considerably more expensive than Amazon’s Kindle Fire, which costs $200, and the higher specification Kindle Fire HD, which is $250. Amazon has suggested it is selling its tablets at a loss in order to get it into the hands of families. The idea is that it can then cash in through sales of a vast library of books, music, films and TV programmes. Apple’s innovative phones, tablets and computers have always come with a hefty price premium, while its rise to become the world’s most valuable company has been fuelled by sales through its vast iTunes store. It is thought that Apple will also launch a tweaked version of the iPad 3 that works on the 4G network. 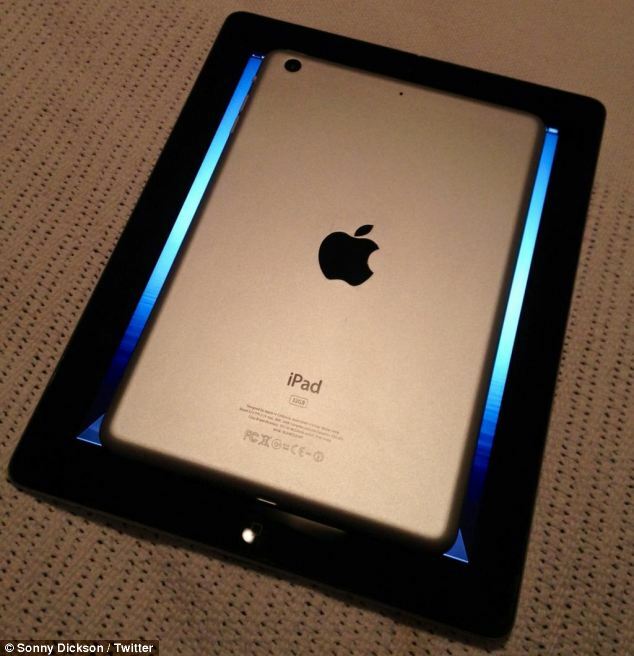 iPad Mini is thought to be 7.85in diagonally, compared to the 9.7in of the full-size iPad. Apple’s yet-to-be-announced iPad Mini has apparently been revealed in full for the first time in the best set of pictures yet leaked on the internet. Sonny Dickson, a researcher for fansite 9to5mac.com, published the images on his Twitter feed last week, sparking a wave of excitement among Apple enthusiasts. The images show a device that is significantly smaller than the regular iPad. According to rumors it boasts a 7.85 in liquid crystal display, making it a rival to Google’s Nexus 7 and Amazon’s Kindle Fire. It also emerged that Apple had instructed suppliers in China to manufacture 10 million of the new smaller tablet computers, showing faith in their product in the face of stiff competition. Insiders say the iPad Mini will go on sale November 2.